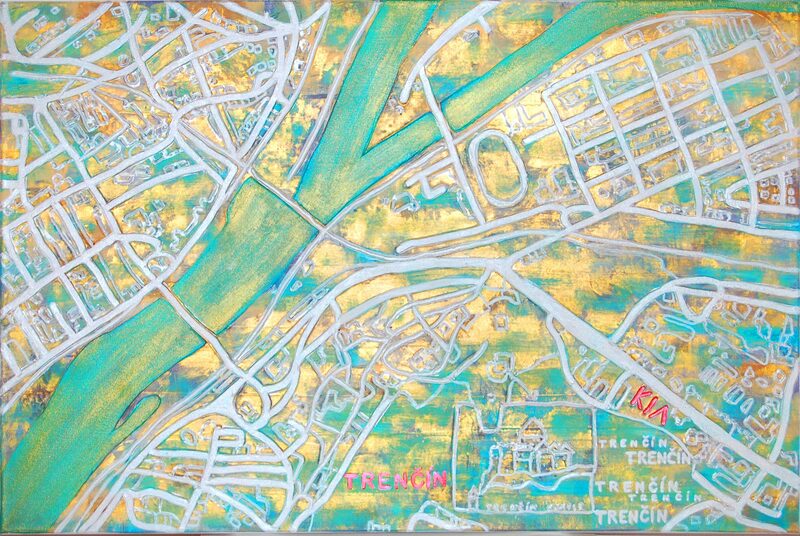 The aim of this collection is to depict all the big cities from all over the world as well as some other interesting towns and cities while presenting their spirits and moods in the painting. 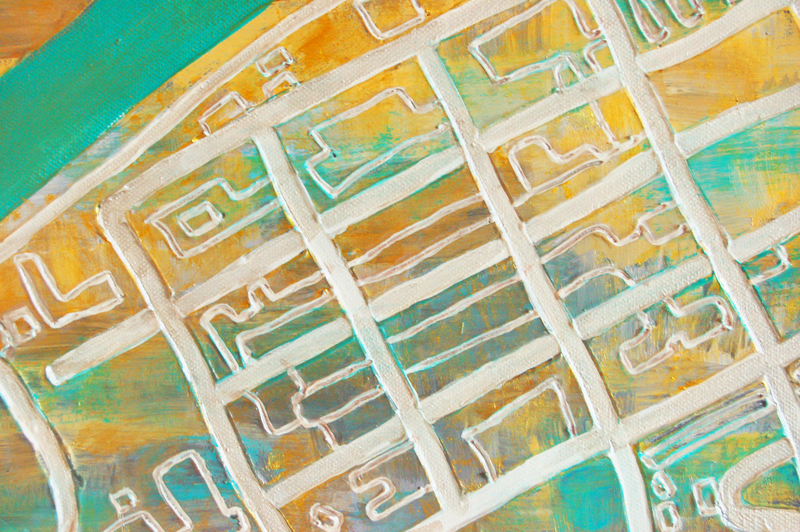 In "Around the World" collection, the streets are drawn realistically based on actual maps. The city infrastructure is enhanced by the layered structure and creates abstract patterns which themselves are the secret “faces” of these cities but they can also present complex entities - even human figures or portraits in some cases. A very specific structure which she invented creates a 3D effect and is used in this collection sometimes together with precious metals, gilding techniques, mixed pigments or gemstones. This painting is a part of a set of paintings that I painted for a KIA Motors Slovakia.